How to fix an SMTP Login Failure? Thunderbird will not log in to SMTP to send emails; however, it will login to download emails. When a customer tries to send email, Thunderbird asks for the password, but the password used by customer (which is correct) Thunderbird says is not correct. Again, if the customer uses Em Client to send emails now, but it doesn’t work. Although he/she is using Windows 10 with the newest version of Thunderbird for windows. If there is no support.mozilla.org article with your specific mail provider’s mail settings, then look for an SMTP mail settings article on the mail provider’s site. This is usually in the support section of their website; searching for “mail settings” or “SMTP” will usually find it. Check that your Thunderbird settings match the documented settings. In the Thunderbird menu bar, click the Tools menu and select Account Settings, or click the Application menu button and select Options and Account Settings from the sub-menu, and select the account name. 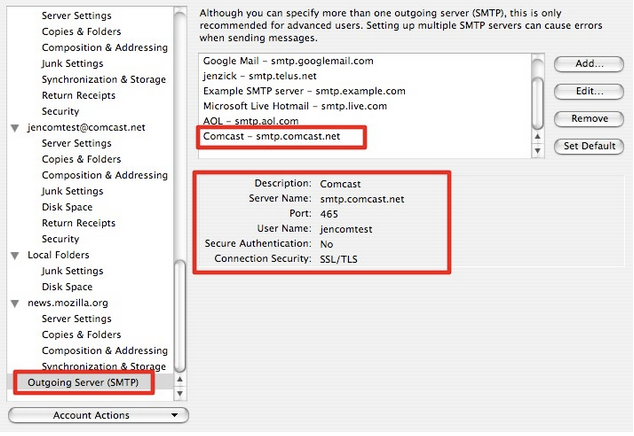 Verify that you are using the right SMTP server for the email address. Most of the time you cannot send messages from one account provider using another account provider’s service. 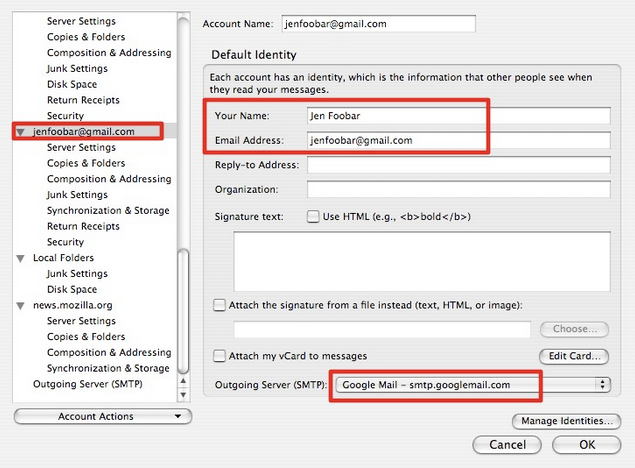 For example, you cannot send a mail from “joe@gmail.com” through Yahoo’s SMTP server. Many ISPs block outgoing email on port 25. You may have to switch to another port (e.g. 587 or 465). Contact your ISP’s support to see if they are blocking your outgoing email port. Try deleting your SMTP password. However, don’t do this as a first step, especially if you cannot send messages after updating Thunderbird while you previously could. In such case, usually there is nothing wrong with a stored SMTP password in Thunderbird (see above). Try changing your SMTP password. This is usually done via a ‘reset email password’ form on your ISP’s support website. Password to my SMTP changed recently, and I can’t change it to Thunderbird due some bug. The problem is that when I click Enter New Password, no password prompt appears, Thunderbird just tries to reconnect and that, of course, fails. Is this a known bug? Is it fixed in later releases? Can I fix the problem manually by editing Thunderbird setting files? I am using Ubuntu 10.4 and the Thunderbird that comes with it.